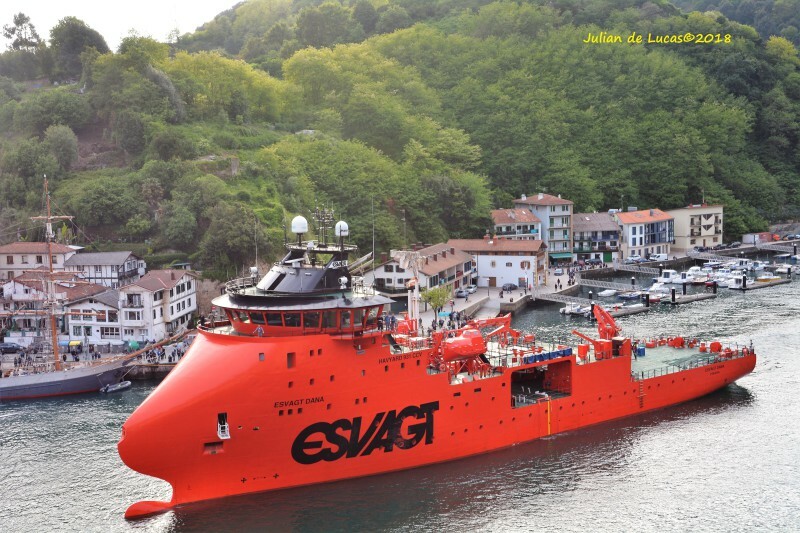 Spanish built ESVAGT DANA entering Pasajes port. Pasaia is well worth a visit. Great photo opportunities for shipspotting and a lovely old fishing village (Pasaia Donibane). If you walk past the old centre of Donibane onwards to the sea, there is a lovely terrace with fantastic views of the narrow channel. She looks very colorful...Fantastic shot Julian.